Parsons' School of Art, Media, and Technology is hosting a series of public talks given by design luminaries in collaboration with the TDC. Karin Fong: Karin Fong directs and designs for film, television, and environments. She is a founding member of production and design company Imaginary Forces. Fong has designed title sequences for numerous feature films, including Ray, The Truman Show, Charlotte’s Web, Dead Man on Campus, The Pink Panther 2 and Terminator Salvation. Her work in television earned her an Emmy award for main title design. Fong also directs television commercials, counting Target, Chevrolet, Herman Miller, and Honda among her clients. She recently created a series of cinematics for the Sony PlayStation game God of War III. Other projects include combining cinema with architecture for environments including Las Vegas, Times Square, and the Lincoln Center. She is currently on the faculty of the Yale School of Art, where she teaches design for film and video. Her work has appeared in the Cooper Hewitt National Design Museum, the Pasadena Museum of California Art, the Wexner Center, Artists Space, and in numerous publications on design and film. In 2014 Fong joined McG’s production company, Wonderland Sound and Vision, as its president. Kristyan Sarkis: Born in Beirut and based in Amsterdam, Kristyan Sarkis is a type and graphic designer. After receiving his master in Type & Media from the Royal Academy of Art (The Hague) in 2010, he started his own design studio in the Netherlands. 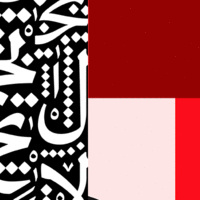 In 2015, he co-founded TPTQ Arabic, a type foundry specialized in high-quality Arabic fonts. In 2016, he co-founded Arabic Type Design—Beirut, the first educational program dedicated to the subject. He teaches at the Type & Media master program since 2015 and the design master at ESAV Marrakech since 2016. His work received several awards including the TDC’s Certificate of Typographic Excellence in 2011, 2012, 2016 and 2017. BFACD students are required to attend 2 design talks, which these events can fulfill. Karin Fong of Imaginary Forces and Arabic type designer, Kristyan Sarkis will speak on January 24th.